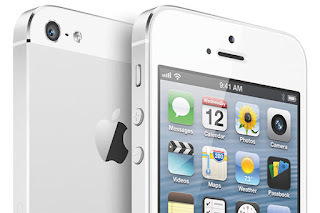 I started with an iPhone 4 with AT&T and ordered the iPhone 5 which was activated on Sept 21. Like many people, my expectations were sky high on the new phone and it didn't quite live up to the hype. For example, I was hoping for a longer AND wider screen. I was hoping for NFC for payments and digital wallet. I was hoping for something that could chop veggies, blend smoothies and write blogs for me automatically. I will be interested in how Apple handles the next big announce. It is not unlike a Presidential debate - lower expectations as far as you can and then meet or exceed them. One funny story (at least afterward) was the maps. I arrived in Atlanta and decided to walk from the center of downtown to the Sheraton. The maps took me for a 1 mile walk in the wrong direction and landed me in the middle of a college campus. I used Google maps inside a browser to get me back on track and ended up getting hit by a car. First time in my life - I was thrown 30 feet down the road! Anyway, all is well - no injuries or lasting effects - but a lifelong memory about iOS 6 all the same. Next business trip was to Las Vegas where my room was broken into as I slept. They stole about $80 in cash and my shiny new iPhone 5. Again, no injury or lasting effects, but now I was in need of a new phone. The shortage of iPhone's (no doubt causing a stock price drop for Apple right now) caused me to linger - perhaps for too long - in the AT&T store. 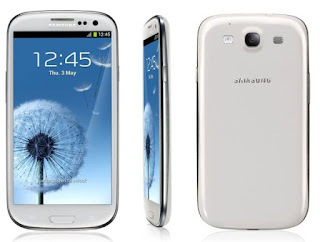 I started looking at the Samsung Galaxy S III and getting excited about the launch of the Galaxy Note 2. My choices were simple - wait 3 weeks for an iPhone 5 (while using a 90's era flip phone during that time) or get the Samsung Galaxy S III with a 30 day money-back guarantee. - battery life was dismal - I was getting 6-7 hours with minimal usage. 3-4 hours with heavier usage. I figured that all of my apps were polling the network at different times so it really never slept. Apple seems to have better integration. - the unit ran warm/hot - I figured because it was always working it kept my pocket noticeably warm. - button placement - having power and volume at same spot on either side - meant I was always either turning it off or muting it when I didn't want to. To push a button you need to put leverage on the opposite side, which didn't work - especially on this larger device. - Messaging, phone and voicemail are not integrated - I was forced to run the AT&T app for voicemail which doesn't have a good notification engine. Text messages were not shown on the screen and I ended up missing calls and texts. Unacceptable for business. - Android lacks unity and integration. I felt I was using a PC from the 90's with a bunch of shareware loaded. Taking a picture, then switching apps to look at it and then switching again to do something with the picture didn't make sense. 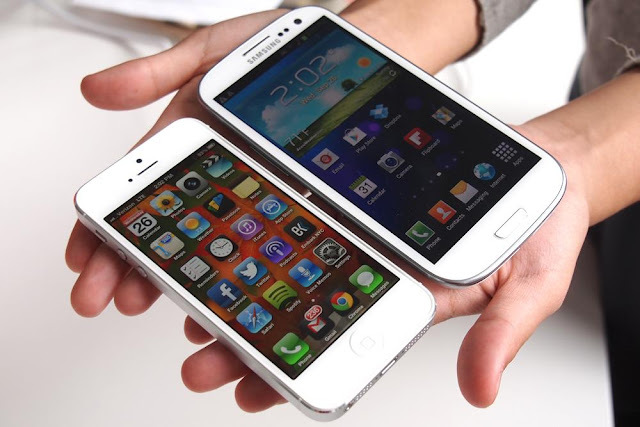 - Camera, while the specs are the same, isn't on par with Apple. The quality of the pictures was lower and the panorama didn't work as well. It was faster however. - Typing and type-ahead was frustrating. Apple is frustrating at times as well, but the Android keyboard was worse in terms of spelling, suggestions and corrections. - I got a sense that app developers were going Apple first with new features and ease of use. I got a sense most of my apps were n-1. - Widgets were nice - getting real-time weather, sports, news, music, etc. was a nice touch without having to go into app. I bet Apple will have this in iOS 7. I chose to go back to iPhone 5 because of the issues above. While the Galaxy Note 2 with a huge 5.5 inch screen and stylus would have been perfect for me - none of the above issues from the Galaxy S III were properly addressed. Upgrading from Android Ice Cream Sandwich to Jelly Bean is mostly a cosmetic one and doesn't fix some of the core integration issues that I had. So, that is my story. 4 phones in 52 days and I have made a final decision - Apple. 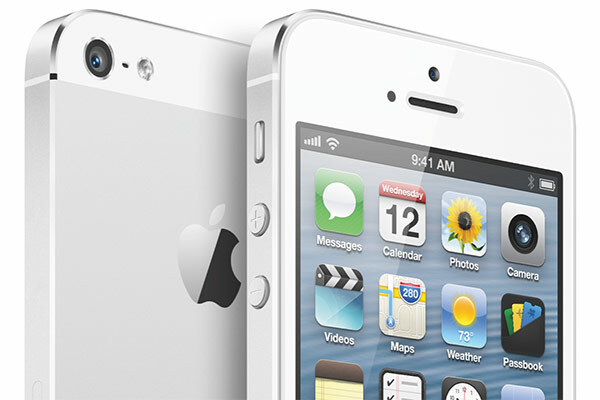 Of course, I will be looking to upgrade next year when Apple announces the iPhone 5w. That will be a wide version with a 4.8" screen similar to the Galaxy S III. It could have a quad core processor, NFC and more memory - but the main thing will be to fill in the iPhone narrow, iPhone wide, iPad mini to iPad regular product line.